Gordon made in Italy sofa bed with flounce cover, curly armrests and feather cushions. A 14 cm high and 210 cm deep mattress available in several models. 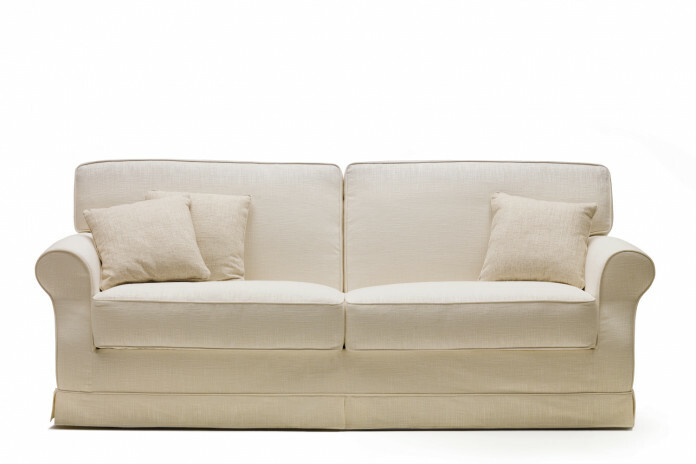 Gordon is a sofa bed with flounce cover curly armrests and feather cushions. 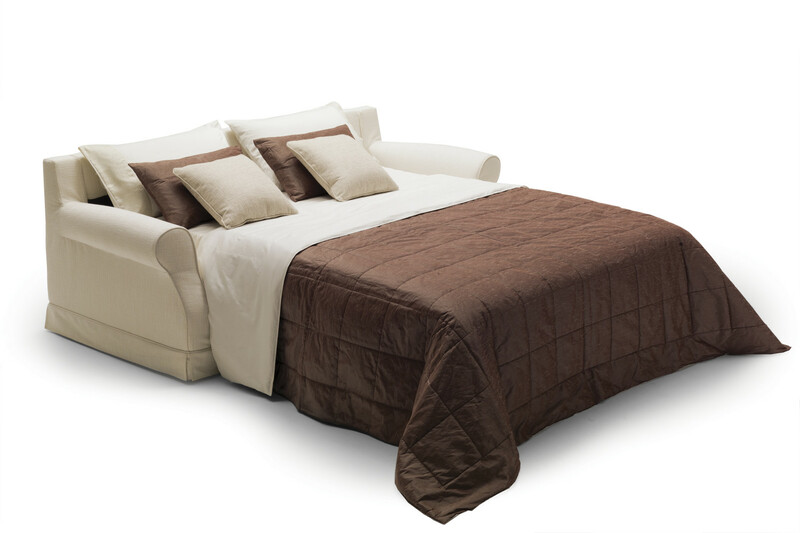 Available in four models, it is always equipped with a 14 cm high and 210 cm cm long mattress, ideal to make your guests comfortable, and perfect for a daily use. The wide range of mattresses available guarantees high performances in terms of support and durability. 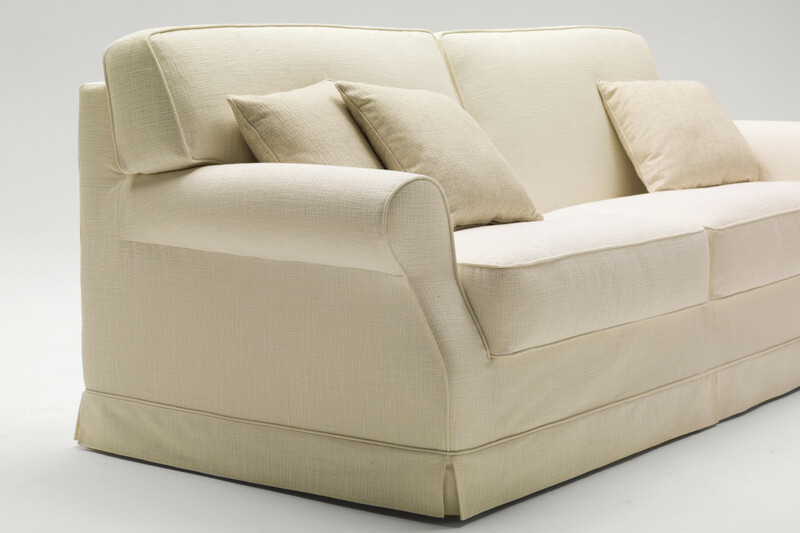 Opening this sofa bed is very easy, you don't even have to remove any cushions at all. 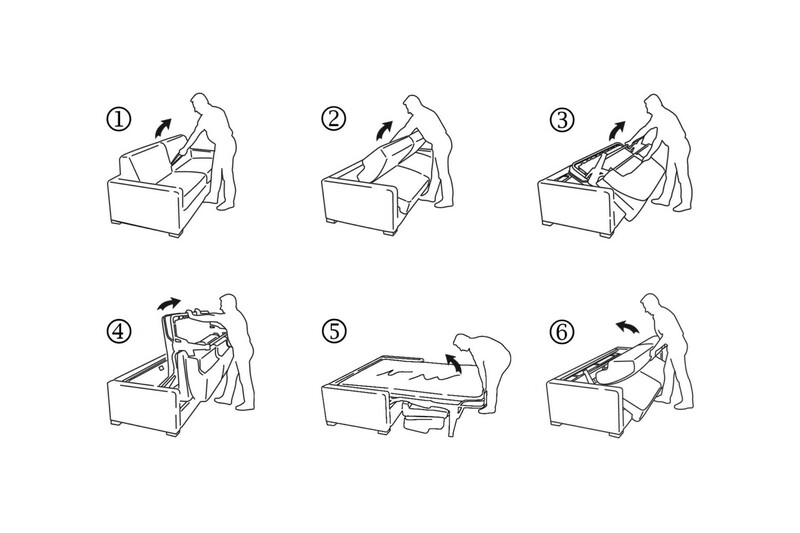 To open the bed base you only have to tip over the backrest by pulling a handle hidden between the cushions toward yourself, lower the feet and unfold the base. 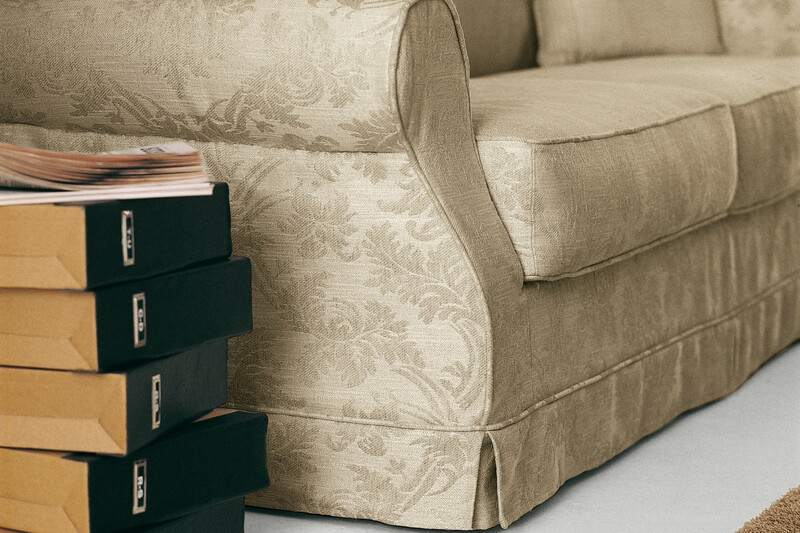 Gordon is characterised by a "timeless" classic look, but includes all the accessories and comfort elements of next generation sofas. 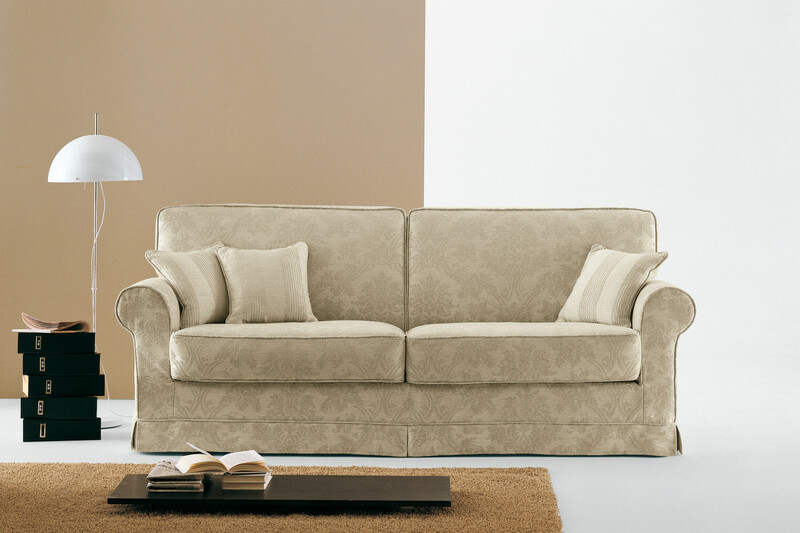 It is ideal to furnish with class a house with a traditional style, without having to renounce to a functional sofa. All models include a Standard h.14 mattress with Bonnel biconical springs. 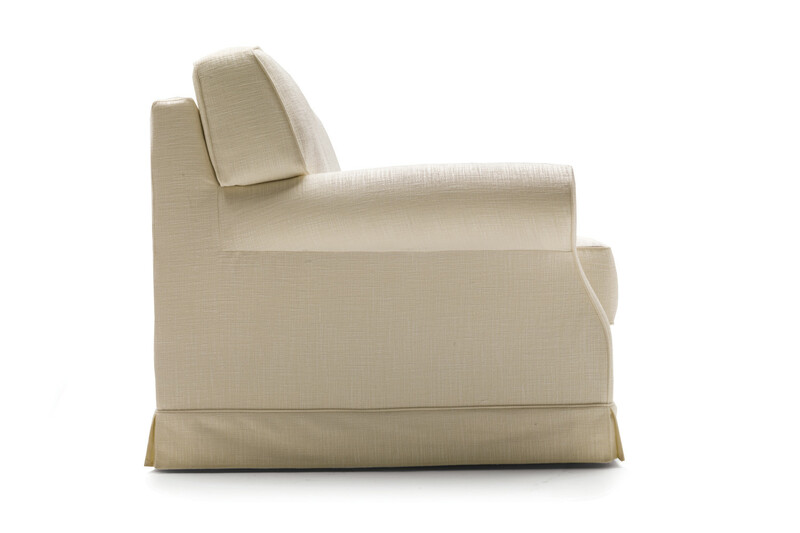 As and alternative, several other mattresses with pocket springs, in polyurethane and latex are also available. 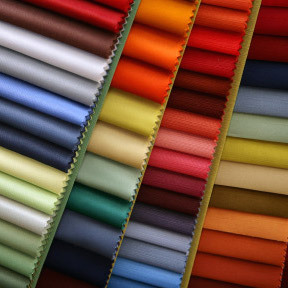 Fabric cover in all the colours displayed in the samples page. Gordon cover is completely removable. 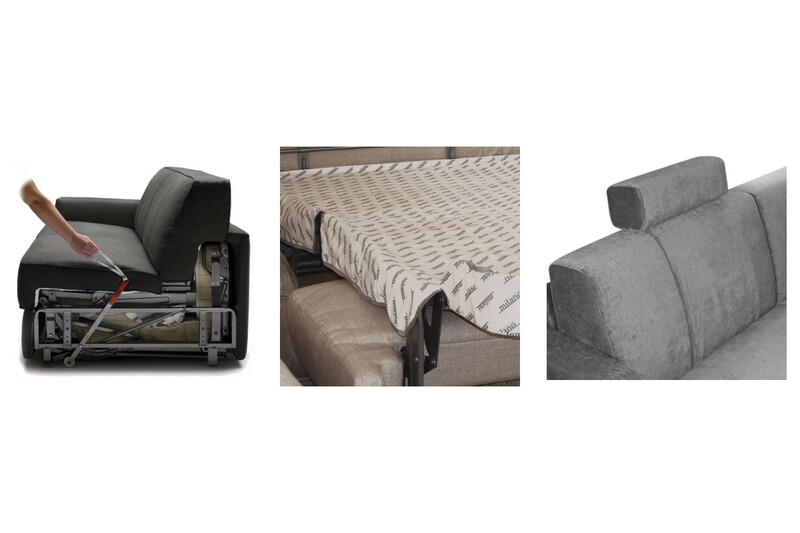 Standard mattress: “Bonnel” springing in tempered steel with a diameter of 2,20 mm; a 25 Kg/m³ expanded polyurethane layer on top and bottom; 100% CO fabric quilted with g 200/m² 100% PL resin fibre and nonwoven fabric; quilted side with aerators; tape edge. 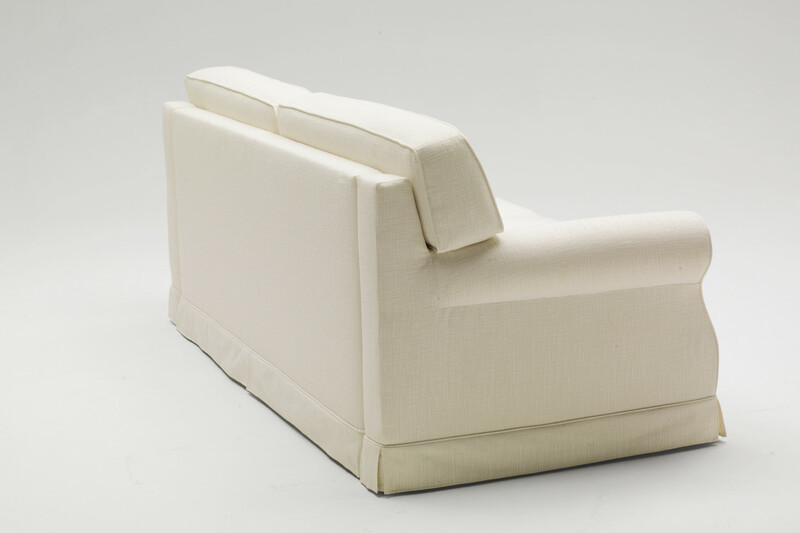 Structure: backrest in high resistance furniture tube, oven coated with epoxy powders. Armrests in fir wood, poplar plywood and particle wood. Headboard in particle wood and poplar plywood. Non-bearing front panel in particle wood. Structure: 30 kg/m³ expanded polyurethane, covered with interliner combined 100 g/m² resin fibre.